METEO scores with its self-conscious generosity of material. The flat front parts blend with a gentle curve into the distinctive handles. 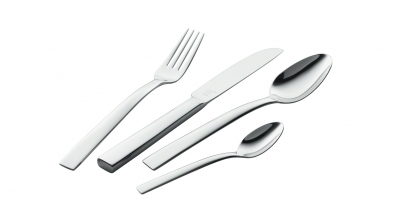 The angled handle ends give the flatware a certain stylish elegance. whether on an informal or festive table setting. The smooth transition from the delicate bowl to the prominent handle underlines the design character of METEO. Knife blade with a finely serrated edge for optimum cutting of food into bite-sized pieces. 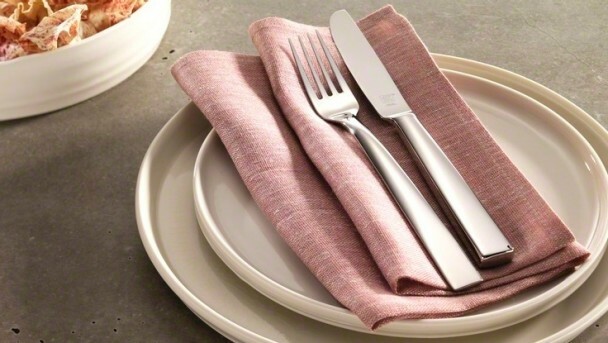 The angled handle ends give the flatware a traditionally modern character. This hollow handle knife features lasting cutting quality, as the blade is honed from high-grade blade steel. Accessories ZWILLING's range of cookware transforms cooking into a truly special experience. 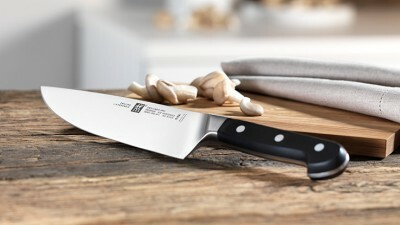 Whether you are a professional chef or cooking enthusiast: ZWILLING Pro knives deliver the perfect symbiosis of innovative technology, traditional appearance and the ultimate in precision. 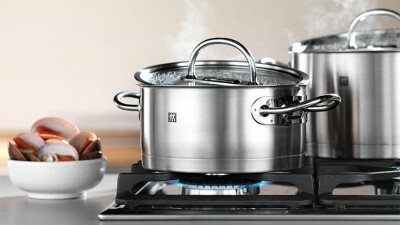 ZWILLING Prime teams highly developed technology with functional aesthetic design. Cookware for the discerning. 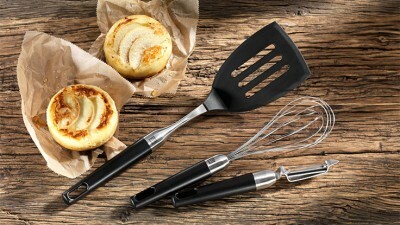 The consistently round plastic handles on TWIN Pure Black kitchen gadgets with their seamless smooth transition to the handle are sure to attract admiring glances as well as lying neatly in the hand.